It might be quite absurd to find a noted Bluetooth single-ear headset maker in the list of best noise cancelling headphones. While Plantronics has always been at the forefront of the (somewhat cyborg-ish) single ear Bluetooth headsets, it has not been seen on the speaker market as clearly as, say Altec Lansing. Hey, wait a minute, did you say Altec Lansing? 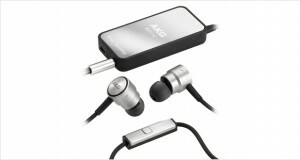 Why, these specific headphones have been made by Altec Lansing as well! How is that possible? Plantronics acquired Altec Lansing, that’s how. 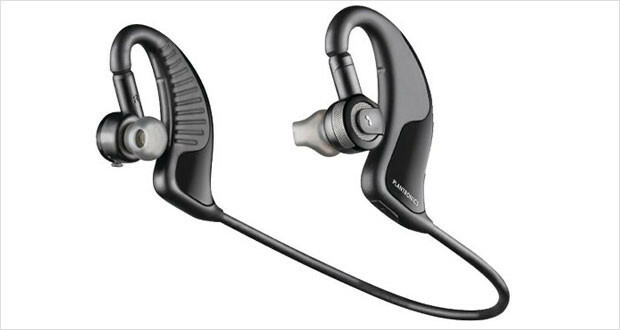 Thus, the Plantronics BackBeat 906 headphones are not just your average run of the mill Bluetooth headsets. 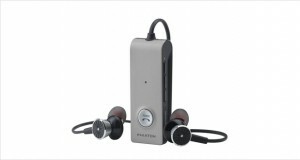 These are also in the running for the best in ear headphones as well. Powered by 14mm drivers manufactured with Altec Lansing’s expertise and the great Bluetooth reception and microphonics developed by Plantronics, these earphones are the beautiful progeny of a wonderful marriage. The sound quality on these is exceptionally clear with the signature Altec Lansing bass thumping your ears with mellifluous midrange frequency response. These are premier headphones, make no mistake, but they are definitely not what audiophiles would call “passable”. The BackBeat 906 consists of two earpieces connected by an 8 inch flexible rubber cable that goes behind the wearer’s neck, much like the Motorola S9 or Jaybirds. The headphones fit into the ear canal with the help of asymmetric silicone sleeves that also help with the acoustic seal. These look formidable, but are actually quite lightweight and meld into your skin after a little bit of time getting used to them. Dimensions5.5 x 2.3 x 9.5"
Tough rubber coated ‘phones means that these are quite well built and can withstand some rough handling. The non-adjustable cord that runs behind the neck as well as the pressure of the earphones behind the ear may not be suited for extended use. Sparkly highs with good clarity – not audiophile grade at all, though. Well rounded midrange response, considering that these are also made for speaking. Thumping bass, but no definition and tended to be muddy. The noise reduction with AudioIQ technology is quite decent, but not exceptional. These are made for light urban sprawls, not air-plane engines. 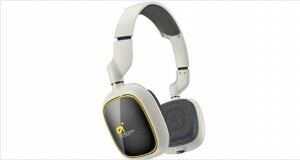 These cans strike a great balance between call quality, sound quality and comfort. But they do not excel in each of these areas. The Plantronics BackBeat 906 headphones are quite snazzy to look at, perform well enough with all kinds of music despite being a pair of ‘phones made for talking and calling. If mobility is your prime concern, these are the phones for you, but if you require exceptional audio quality, then these should not be your first choice at all.